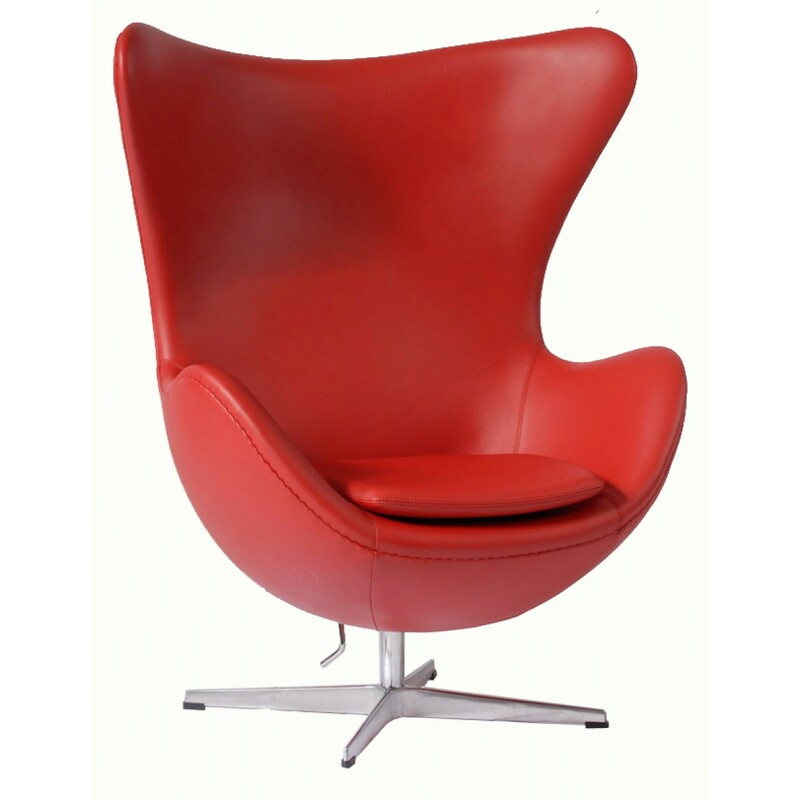 Arne Jacobsen designed the Egg chair in 1958 for the lobby and reception of the Royal Hotel in Copenhagen. He first developed the shell of the Egg chair in the garage of his home, and continues to be one of Arne Jacobsen's most popular design. 4 Star- matt aluminium reclining and swivel base, cushions and internal padding upholstered in fabric. A range of Stock colour available.